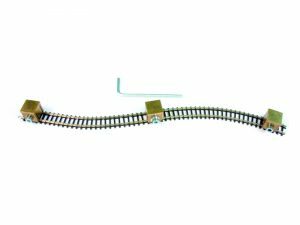 Solid brass, extruded rail connector for all G-gauge tracks (in CODE 332), such as LGB, PIKO, TrainLine45, Aristocraft, etc. 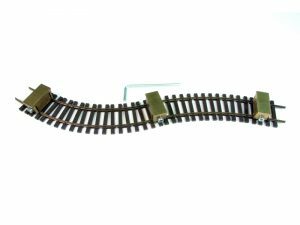 Thousandfold proven and popular with all garden railroaders for many years. 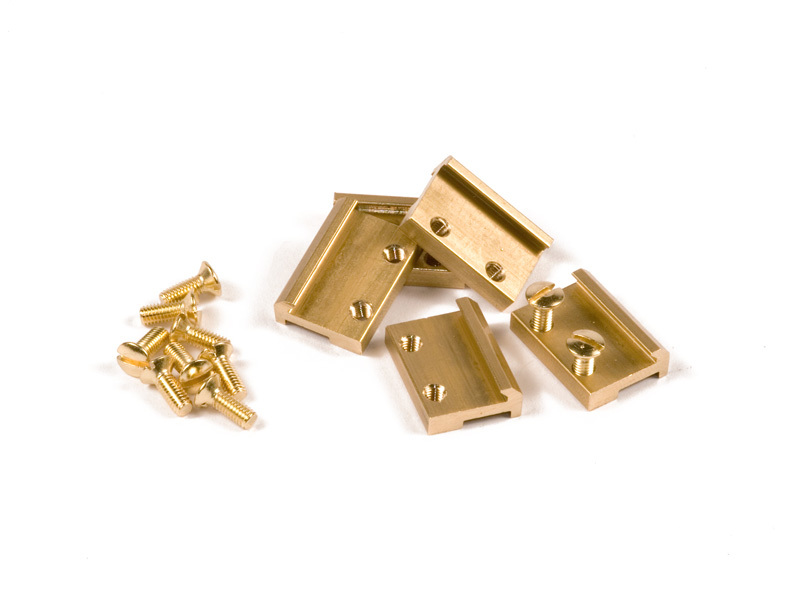 The rail connectors are made of 100% high-quality brass for optimum current conductivity. 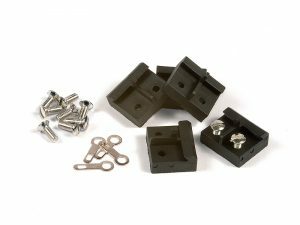 SKU: 8100165 Category: Track Connectors & Co. 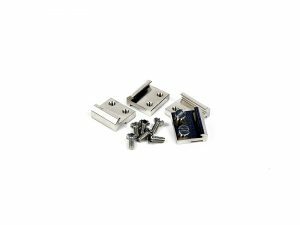 The scope of delivery naturally includes the necessary screws (specially brass-plated stainless steel screws) as well as solder lugs to ensure the voltage supply.